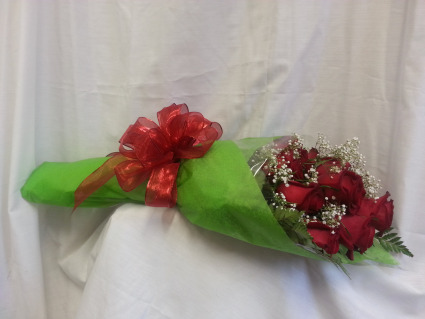 Gorgeous roses wrapped up and ready to present to the one you love. 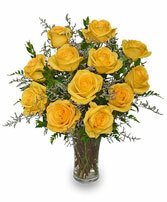 Have us deliver them, or pick them up for an extra special surprise as you whip her off her feet! 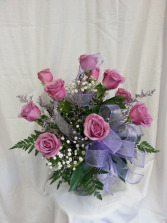 Please let us know if you would like another color of rose. The price is not different and we will do our best to accommodate with appropriate notice. *Please note that when upgrading rose arrangements, we we will include additional and/or more expensive accent flowers and greeneries as opposed to more roses. 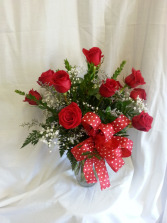 A gorgeous display of a dozen long-stemmed red roses. Timeless! Bow may change due to season and/or occasion. *Please note that when upgrading rose arrangements, we we will include additional and/or more expensive accent flowers and greeneries as opposed to more roses.